World War II and the Cold War space race with the Russians changed the fates of both von Braun and Mary Sherman Morgan. When von Braun and other top engineers could not find a solution to the repeated failures that plagued the nascent U.S. rocket program, North American Aviation, where Sherman Morgan then worked, was given the challenge. Recognizing her talent for chemistry, company management turned the assignment over to young Mary. In the end, America succeeded in launching rockets into space, but only because of the joint efforts of the brilliant farm girl from North Dakota and the famous German scientist. 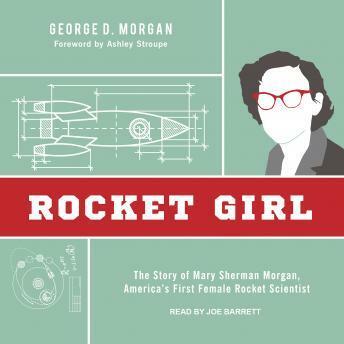 While von Braun went on to become a high-profile figure in NASA's manned space flight, Mary Sherman Morgan and her contributions fell into obscurity-until now.